What was it actually like at one of those much loved and much loathed (and now scarce) grammar schools? 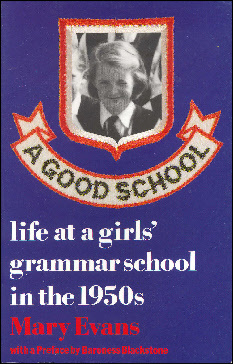 This largely autobiographical account of life at one of these institutions, a girlsâ€™ grammar school in an outer London suburb in the 1950s, recounts those distant days when grammar schools could rely on obedience and good behaviour from their pupils. The school in question was â€˜goodâ€™, in the sense that it had good examination results and an orderly environment, but this very achievement was accompanied by the avoidance of anything which might now describe as â€˜differenceâ€™. In this category were working class pupils, popular culture and aspects of high culture which were divisive rather than cohesive. Was this really such a good school?